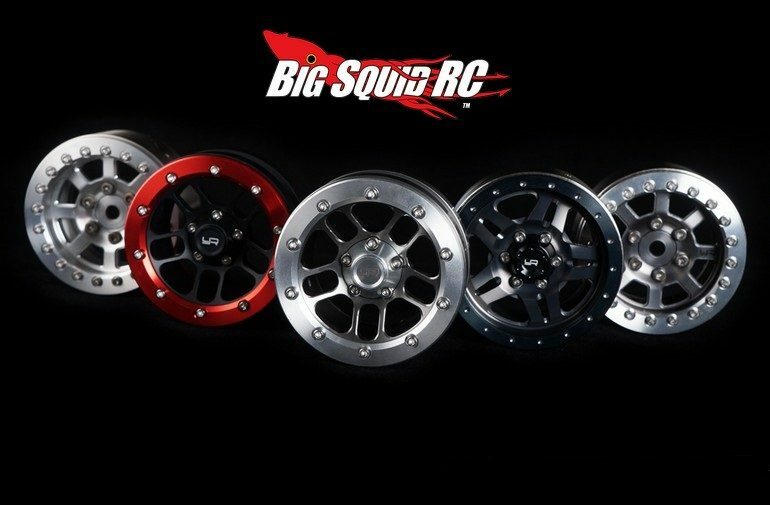 Yeah Racing 1.9″ Aluminum Beadlock Crawler Wheels « Big Squid RC – RC Car and Truck News, Reviews, Videos, and More! Recently released by Yeah Racing are 1.9″ Aluminum Beadlock Crawler Wheels. These are heavy duty units designed for tough crawling conditions and are made from CNC machined aluminum. The new line-up of wheels include 5, 8 and 10 spoke designs that are available in different colors to personalize your rig. You can get full details on the wheels over on Yeah Racing’s Website or you can Click Right Here for more Yeah Racing news on BigSquidRC.